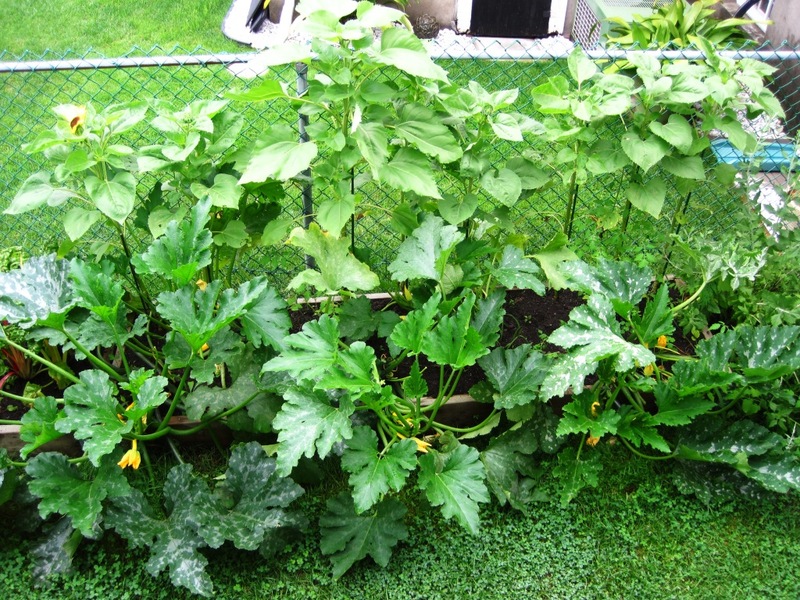 5 plants – wow — you guys must love zucchini. I was just about to go out to my 2 zucchini plants and check the damage. Do you know if the big zucchini (the ones I miss picking while still small) are ok for for baking? Thanks for the link to the hand pollination explanation. My mother-in-law was trying to describe it on the phone, but the pictures make it much clearer. The five plants were more a result of circumstance (and actually having the space) than actual planning or extreme love of zucchini! 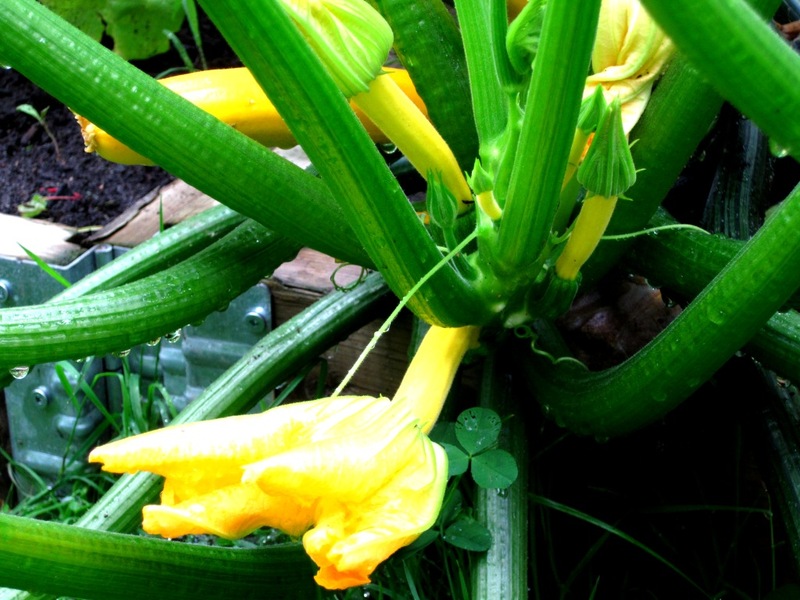 The kind of cool thing about zucchini is the bigger you let it grow, the more food you get: 1 small zucchini feeds one person, a medium one can feed two and with a BIG one you could feed a whole family! There aren’t that many vegetables like that. I’ve used big ones for baking. Just remove the seeds and grate finely. 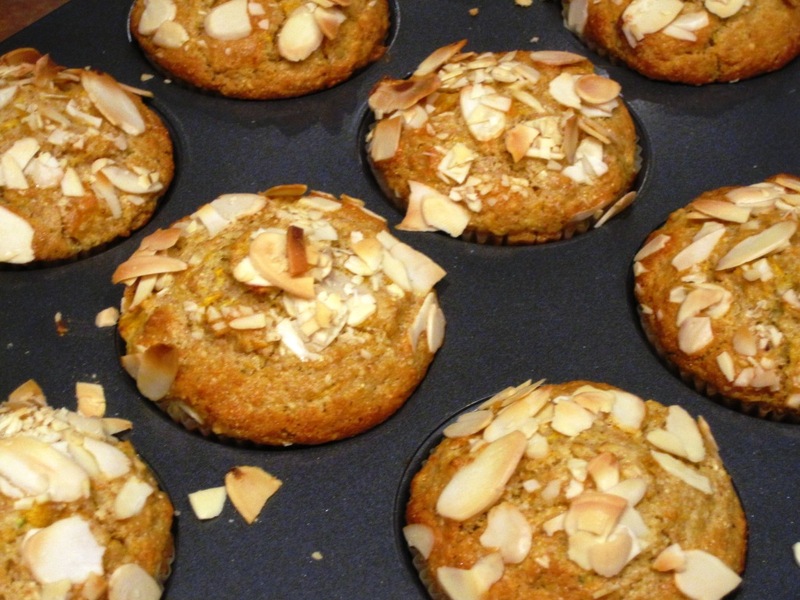 Perfect for zucchini breads, muffins, … Once the seeds are removed, they would certainly do well in saucy dishes like ratatouille, preserves like zucchini relish, soup, and even stuffed zucchini. So many possibilities. Happy cooking/baking with zucchini! Our first zucchini were ready for eating today – a bit behind yours, but we grew ours from seed, and they did remarkably well. We only have two plants though – I can’t picture 5 plants worth for just the two of you! Mind you, I don’t know what we’re going to do with 7 chili plants worth of thai finger hot chilis. Next year I’ll grow mine from seed, so I can control the number of plants! I want to see if we can get through the summer without buying any vegetables, so having lots of zucchini may come in handy. Have lots of Swiss chard too. Greens are good! Growing edibles is addictive. I always want to grow more, even though I know it’s way more than we can eat. We share generously though!